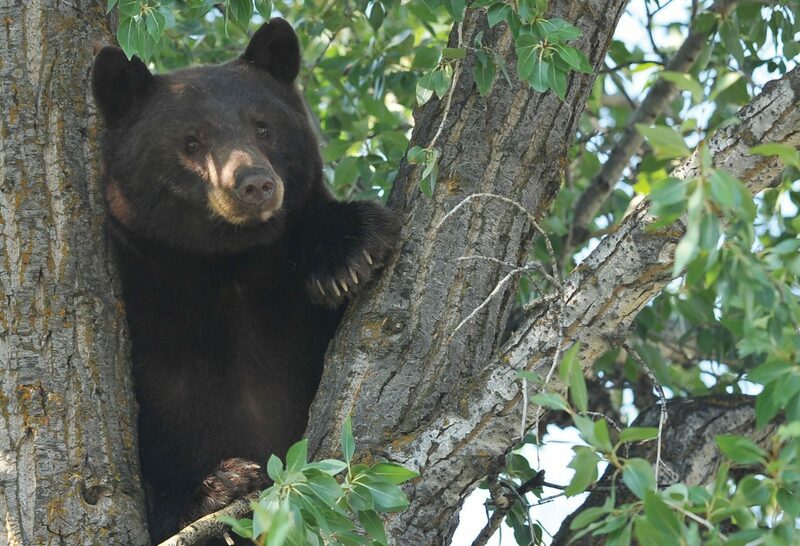 A bear hangs out in a tree in 2012 across from Bud Werner Memorial Library in Steamboat Springs. Steamboat Springs — This time of year, all the black bears in Steamboat Springs are problem bears. That is according to Colorado Parks and Wildlife Area Wildlife Manager Jim Haskins, who this week said they are dealing with a high number of bear incidents this summer. The most recent case occurred Monday night, when a resident discovered a bear eating pistachios in the kitchen in the 2900 block of Alpenglow Way. The bear entered through a screen window in the living room and did not want to leave. Officers used non-lethal methods to scare the bear. It jumped through another window and left. A trap was set for the bear. “Once a bear is in a home, we catch it,” District Wildlife Manager Steve Baumgartner said. People who live in bear country are encouraged to keep windows and doors that can be accessed to a bear closed. It also is important to keep trash secured and not accessible to bears. Haskins said almost every bear incident this year was the result of humans being careless with trash or other things that can attract bears, like yummy smells coming from a kitchen and open doors and windows. Nuisance bears sometimes are euthanized. Wildlife officials are concerned about the welfare of bears, but also public safety. Black bears are not typically known for being dangerous, but an incident Sunday in Aspen served as a reminder that black bears are wild animals, and they can be unpredictable. An off-duty Pitkin County Sheriff’s Office deputy was swiped by a bear Sunday while she was walking through an alley. The woman was able to fight the bear and it went away, but the woman had abdomen and leg injuries. Officials said the attack could have been much worse. “We haven’t had any reports of aggressive bears, but I think that’s always a possibility, which is why it’s so important to keep trash secure,” Baumgartner said.